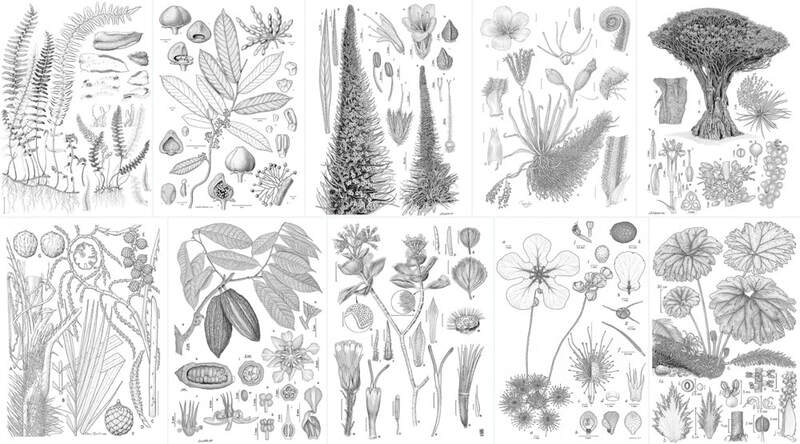 This is an annual international award for excellence in scientific botanical illustration. 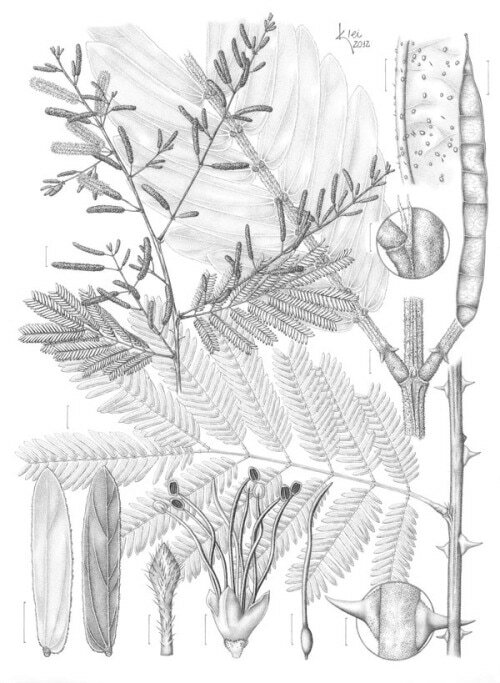 The annual exhibition in Sydney includes scientific botanical illustrations from around the world. an Archive of information about previous exhibition. Information includes the names of those winning prizes and highly commended - and the plants they portrayed - plus links to where you can see the images (where available). as distinct from botanical art. 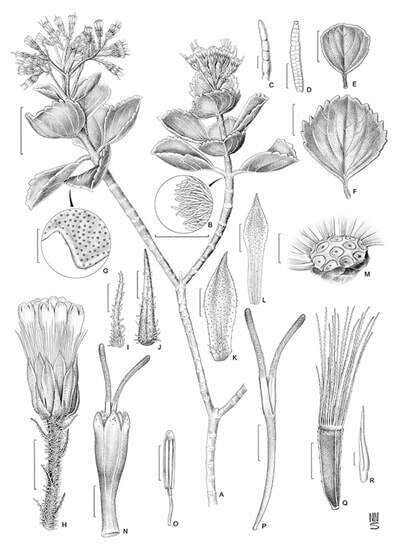 The Margaret Flockton Award is unique in art awards in that it recognises and promotes scientific botanical illustration as opposed to botanical art. The competition invites entries from contemporary botanical illustrators - working in a scientific manner - from around the world. 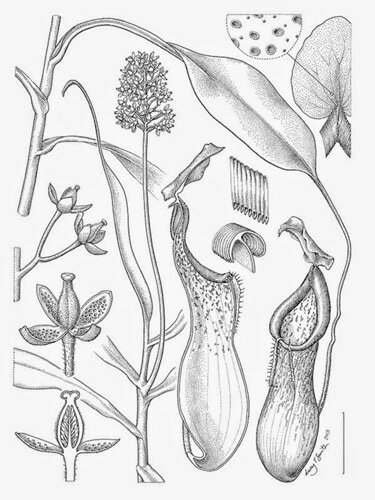 They are asked to submit scientifically accurate drawings that accompany the published taxonomic description of the plant, clearly highlighting all of the distinctive features of the species. 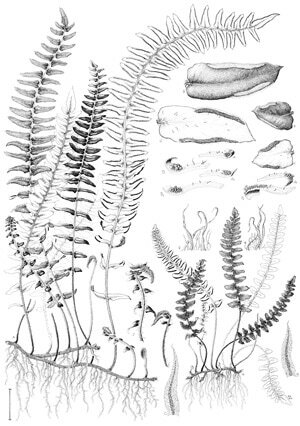 The format for the images are original taxonomic illustrations - typically highly detailed black and white drawings primarily undertaken in pen and ink, pencil or digitally rendered. original artworks will no longer be exhibited or sold at the Margaret Flockton Award Exhibition. ​All sales will be via reference to the artist's website or email address - to be supplied with submission. You MUST check all details with the website if you wish to enter. This also includes the contact details (at the bottom) for the two botanical illustrators who administer the award. ​Those entering this competition are typically professional botanical artists from around the world. Very often these botanical illustrators work with/for botanical gardens and produce scientific botanical illustrations on a regular basis. Those who are not need to be aware they must reach the same standards as those who are! Works must have been produced after February 2017. ​Highly detailed, scientifically accurate and original taxonomic illustrations clearly highlighting all of the distinctive features of the species. Full plate illustrations ONLY. (inclusive of habit study and diagnostic features of the species). No artworks will be offered for sale (direct email or website details will be made available, with the consent of the artist). Monochrome - primarily undertaken in pen and ink, pencil or digitally rendered. Image area MUST be no larger than A3 (295 mm x 420 mm) and no smaller than (180 x 250 mm) - EXCLUDING legend. Illustrations MUST be "ready for publication" and capable of being reduced to 67% of the original size without loss of detail. ONLY high resolution digital scans of black and white (done in e.g. pen and ink, graphite or scraper board) illustrations and/or monochromatic digital illustrations, either published or unpublished, will be considered. Inclusion of scale bars highly recommended. The exhibition at the Royal Botanic Garden in Australia results from juried entries by contemporary scientific botanical illustrators from all over the world. ALL entries are digital. The images selected for exhibition were printed on high quality paper and framed in standard exhibition frames - arranged by the organisers. Highly Commended - Drosera albonotata by Alastair Robinson from Victoria, Australia. Pen and ink. Highly Commended - Theobroma cacao by Juan Luis Castillo from Spain. Digital illustration. Highly Commended - Vernonia echioides by Alice Tangerini, Washington, D.C., USA. Pen and ink. AS entries in 2017 were digital. Images selected for exhibition were printed on high quality paper and framed in standard exhibition frames - arranged by the organisers. The exhibition is curated by curated by current illustrators working at the RBG Sydney. ‘This year there was a large section of really beautiful work, but at the top end the final images were so tight that the judges had to reconvene three times, finally agreeing to award a shared second-prize, reflecting the hair-splitting argument for each piece. They believe that both artists deserved their share of the winnings. Considerations of minute scientific accuracy balanced against those of technical and artistic merit. This is an archive record of the names of previous prizewinners and the plants they illustrated. ​Many thanks to the diligence of Mervi Hjelmroos-Koski in making a record on the blog of the Denver Botanic Garden School of Botanical Illustration as otherwise some of these names and awards would be lost to the internet! Completing the listing of past prizewinners and those highly commended is not easy hence this is a work in progress. There's a dearth of proper records available online - hence this attempt to create one. If you can fill any of the gaps please let me know. In 2014, 33 entries were submitted from Australia, New Zealand, Thailand, Spain, Brazil, Mexico, the United Kingdom, France, Belgium and Canada.